Left? Right? What is with Pittsburgh's politically shifting newspapers? A image of a elephant and donkey dancing hangs in Lori Falce's Greensburg office at the Trib. Submitted by Lori Falce. In the supercharged political climate of our times, and with the midterm elections next month, it often seems the newspapers have flip-flopped positions. Families that once considered themselves aligned with one publication or the other suddenly find themselves bewildered and frustrated by the marked change in tone. 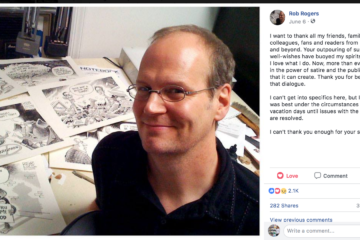 The Post-Gazette this year endorsed a Trump-backed Republican in a Congressional special election, it fired the paper’s editorial cartoonist and it has suggested that the media often is an enemy of the president. 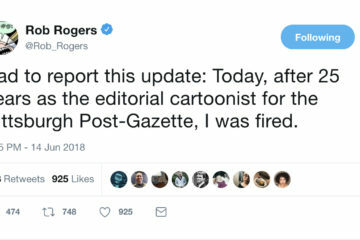 Many people have canceled their subscriptions, according to the Newspaper Guild of Pittsburgh, which represents 150 Post-Gazette employees. John Block, the newspaper’s publisher and editor-in-chief, recently said in Pittsburgh Quarterly that while he voted for Trump, he doesn’t feel the Post-Gazette has a particular bias. The Trib’s new community engagement editor, meanwhile, says her paper has moved to the middle. 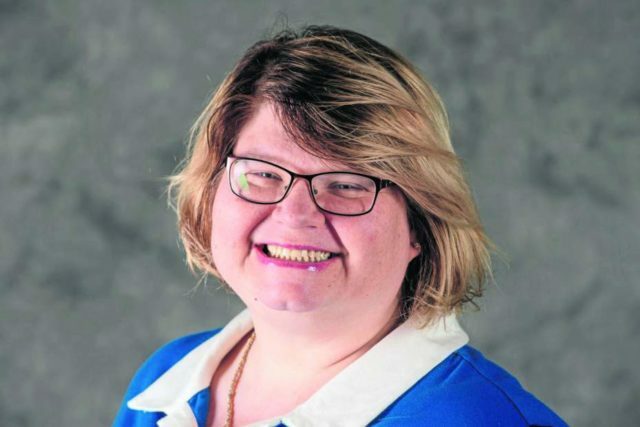 The Tribune-Review named Lori Falce as its community engagement editor in August. Photo courtesy of the Tribune-Review. By Dan Speicher. The opinion pages of modern newspapers do typically reflect the perspectives of their owners, and readers can make up their own minds based on the owner’s actions. Ever heard the one about not starting a fight with someone who buys ink by the barrel? But ownership can be a fickle thing. The Trib’s former owner, Richard Scaife, died in 2014, and now a board of trustees, with employee representatives, owns the newspaper. It makes sense, then, that the Trib no longer feels indebted to Scaife’s conservative outlook and has instead tried to reflect the communities the newspapers serve. Falce said she tries to examine every issue from multiple perspectives before coming forth with an opinion. Most often, she focuses on local themes and said she considers positions about Trump on a case-by-case basis. She does vote but declined to talk about her personal views. The Trib’s editorial board includes its top executive and several editors as well as two community representatives in Tarentum and Greensburg, where it prints daily newspapers. 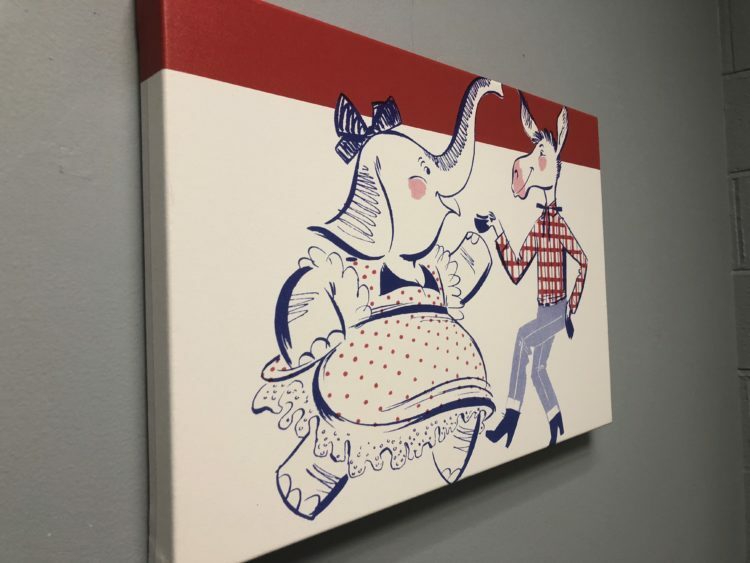 An image of an elephant and a donkey dancing hangs in Lori Falce’s Greensburg office at the Trib. Submitted by Lori Falce. Block Communications, a privately held company controlled by the Block family, owns the Post-Gazette. A spokeswoman for the newspaper referred questions about its editorial stance to Keith Burris, the editorial page editor. He did not respond to requests for comment. Burris, who also serves in the same position for the Blocks’ other newspaper, the Toledo Blade, took over the job in March, after he was identified as having written an unsigned editorial, “Reason as Racism,” which ran on Martin Luther King Day. In that column, the newspaper said the word racism has become a “term of malice and libel” on par with “communist sympathizer” in the 1950s. Burris and John Block addressed the editorial in interviews with the Yale Daily News. The newspaper not only endorsed Republican Rick Saccone for Congress in the March special election, but it reasoned that if the Democrat Conor Lamb won (which he did), that it could signal a “Democratic wave” of legislators focused on impeaching the president. In a twist, the Post-Gazette praised Lamb as an inspiring candidate after he won.